Grind salt and pepper upside down: in the Ceramill Trend spice mills the grinding mechanism is at the top and leaves no traces on the table. An aroma lid protects the grinder and seals the aroma. When you are ready to grind simply remove the lid, hold the mill upside down, twist the glass, and the ground powder comes out. Made of high quality plastic and glass, this spice mill is equipped with an original Ceramill ceramic grinder, which can be steplessly adjusted.  WMF provides a ten-year guarantee on the grinder; it is corrosion and abrasion-free. The 14cm high spice mill can be taken apart, and the glass container is dishwasher suitable.